I recently bought a car. Most probably, you also own one. In today’s world, millions of people own different types of cars. Certainly, a car is a fundamental automotive as it helps us to perform most of our daily chores. It is therefore necessary to properly maintain your car at all times. However, with the price of fuel and other automotive expenses rapidly going up, everyone is looking for ways to cut expenses and save money. Car repairs can break the bank. As a result, it’s advisable to do routine maintenance of your car on your own. 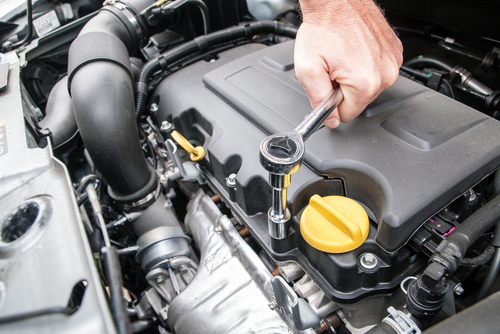 There is a wide variety of car repairs you are able to do regardless of your technical skill. Talk of oil change, fuel filters , alternators and many more are some of the car repairs to can do yourself. Taking the initiative of doing your own car maintenance will help you save approximately 20%-30% on the cost of car maintenance every year. Low tire pressure hinders a vehicle’s safety, handling and fuel usage. Ensure you check the tire pressure of your car on a regular basis. When the tire pressure goes below the recommended levels, remove the valve cover and place the valve within the gauge to get a reading. Find a nearby gas station to add a little air if you feel the pressure is not enough. This is perhaps the easiest and straightforward maintenance task you can do and it cannot take more than 30 minutes. Look for a plastic housing under the hood. Your air filter may be attached with bolts or screws but that should not worry you as they can be opened by hand. Remove the old filter and install your new air filter. Ensure it faces the same direction the old filter was facing. You do not want to pay a mechanic a lot of money for such a simple task that you can do on your own. 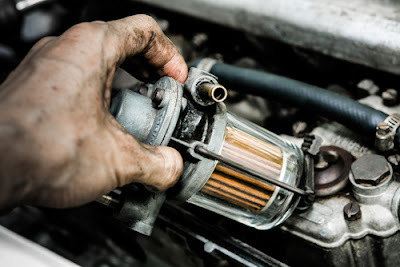 #Regularly change the oil and oil filter in your car. This is arguably the most essential car maintenance task for every car. Oil is essential for any automotive to last for a reasonable period of time. Nowadays, different car user manuals recommend different intervals between oil changes but its generally recommended to change oil after every 3000 miles. Ensure you have new oil as well as a new oil filter. You will need enough space under your car hence it’s advised to use a jack or a ramp to create room you will work from. You will need a container under the engine where the oil will drain into. Look for a single bolt under the engine and open the bolt carefully. After the oil has stopped draining, you can replace the bolt. Locate your oil filter. Since there can still be some oil trapped in the engine, reposition the container under the filter. It’s recommended that you unscrew your filter from the top of the hood. Apply a thin film of oil to the new filter and screw it according to the manufacturer’s recommendations. You can either tighten the screws using your hands or a wrench. Take caution not over tighten the screws as you might damage the gasket and cause an oil leak or strip the threading. After you have replaced the drain bolt and oil filter, pour in the new oil. There should not be any leaks if the bolt was tightened properly. Replacing spark plugs varies to a great extent depending on the model of your car. This procedure takes approximately 30 minutes, depending on the number of plugs you have. For inline engines, the spark plugs can be accessed from the top but for V-engines, they are located at an angle on both sides. The number of plugs on vehicles varies depending on the engine type. Single core engines usually have an equal number of wires to the cylinders. Dual core vehicles have four cylinders with each of them having two spark plugs. You can easily locate spark plugs by following the thick wires under the hood of your car. These wires will lead you to the spark plugs. Do not disconnect more than one wire if you are not able to track every single wire to its plug hole. The wires will have a thicker texture as they approach the engine. Pull the wires out and check the gapping on the new plugs. Screw the new plugs into the exposed cylinder by hand. Tighten the screws and push the wires back onto the plug. Repeat the same process for each cylinder until the job is done. This procedure is pretty easy. It does not require any skills at all apart from physical energy. Disconnect the battery cables starting with the negative terminal as a safety measure since electricity flows from the negative to the positive terminal. Remove the cables using a wrench or pliers. Clean the posts using a wire brush and corrosion removal fluid. Unscrew the bolts or nuts to remove the old battery and replace with a new one. Take the wires by their rubberized portions and guide them onto their respective posts starting with the positive terminal. Fuses blow now and again. You cannot hire a mechanic now and then to fix a blown fuse. This is an easy fix that cannot take more than 10 minutes. Fuses are found in the fuse box which is located under the dashboard on the side of the driver. Access the fuse box and identify the fuse that looks melted and replace it with a fuse of the same color. 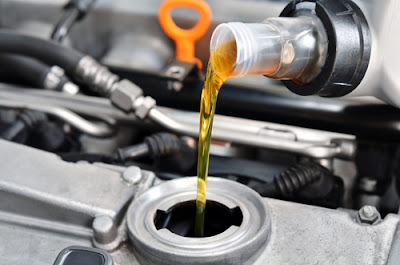 If your car runs short of any crucial fluid, it may not function properly. Therefore, you are supposed to check fluid levels every morning. Battery water, brake and cutch fluid, radiator coolants, and automatic transmission fluid should be available in the right amount and viscosity. The above simple maintenance tasks can not only help you to save money, they also help to keep your car in the perfect shape.